Have you heard of the newest trend sweeping festivals and concerts? 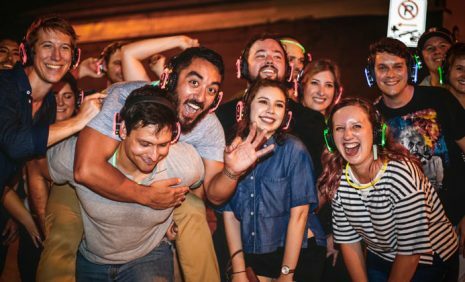 It’s called Silent Disco, and now you can experience one of these headphone parties right here in downtown Tulsa! 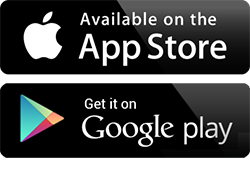 You can access all the fun via your free-to-rent wireless headphones. The volume is adjustable too, so you can control your show. 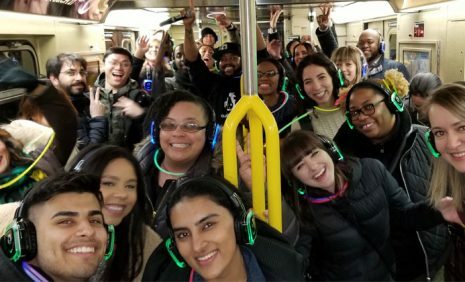 Wear headphones to hear the music at this dance party, or take them off and observe the Silent Shuffle. 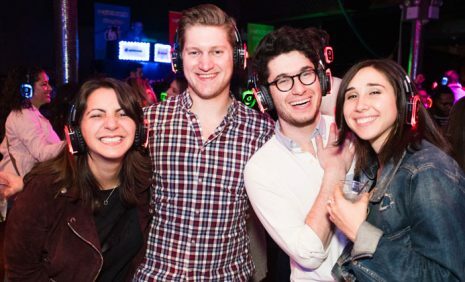 Come celebrate the 18th annual Wild Hearts Ball Silent Disco. We will have live entertainment in the Lynn Riggs Black Box Theater and a dance floor in the Bruce Goff Event Center. A cash bar will be available and raffle prizes will be given! Please note: This is not a Quiet Events event. This is organized by one of our partners. For information, please contact Jose Vega at Jose.vega@okeq.org or the Equality Center at (918) 743-4297.